Are you finding it hard to eliminate pests from your home? The task of eliminating pests is easier than you might think. You have to be regular with the steps which you need to undertake to make your home pest free. We will highlight some simple steps shared to us by the experts over at A-Jet. The 1st step which you have to undertake is to eliminate the hiding places for pests. You have to move things like bricks, stones, firewood, and lumber away from your home. These are excellent hiding places for pests. When you shift these away from your home, it will be easy for you to divide the pests of any habitat. You have to always shield the trash to limit the access to the pests. Bugs, as well as pests, feed on the garbage. Shielded waste ensures that pests will not have access to the food. As a result, they will not be able to find the ideal habitat in your home. They will not attract to the fragrance or the scent of food. When not in use, you have to turn off the water hoses entirely. The pests will be devoid of water in such a case. It will help you keep the pests away. In most of the cases, pests enter your home through the cracks and the gaps in the structure. You have to seal them. Depending on the location of the gap, the solution which you will opt for will vary. In case of the window frame or the door frame, you can think about changing the window or door frame. You can even use adhesive and other materials like white cement to close these cracks. The elimination of wall cracks will also ensure that you can insulate your home from the weather outside. You have to first and foremost monitor your home for any such kind of cracks. Once you do that, you will be able to find out the most suitable way to eliminate the wall cracks. The problem with the overgrown plants is that you will provide easy access to the pests and rodents to your home. When the branches start reaching the structure of your house, it helps the pests enter your home. A much better option is to trim the overgrowth. Ideally, the plants should be at least a few feet away from your home. When that is the case, easy access to your home will not be possible. Most of us often do not keep the kitchen or the pantry clean. When there are food leftovers present, it can attract pests. Naturally, they will then head to the nearest structure which is your home. To avoid this, you have to clean the kitchen. You have to eliminate any presence of leftovers. You have to keep your kitchen entirely clean. These few steps will help you keep the pests away. Instead of taking these measures when you notice a few pests in your home, you have to be active. When you undertake these few steps in advance, it will be effortless for you to keep pests away. So, if you want to keep your home pest free, it is essential to follow these seven tips. There is no scope for excluding any of these steps. 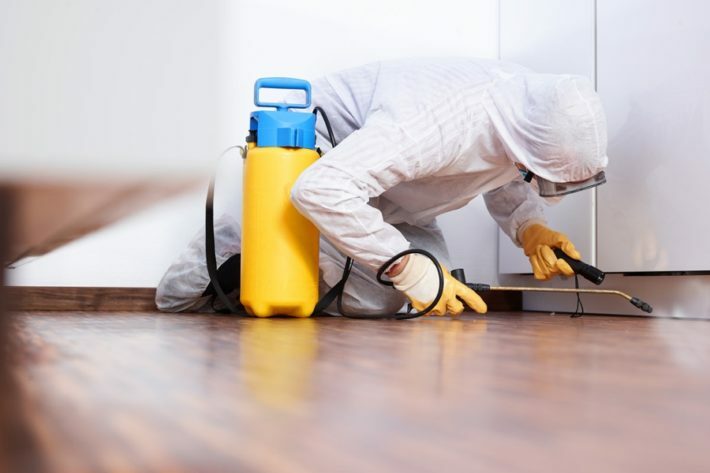 You have to be diligent enough to follow these steps on a regular basis to keep your home pest free.